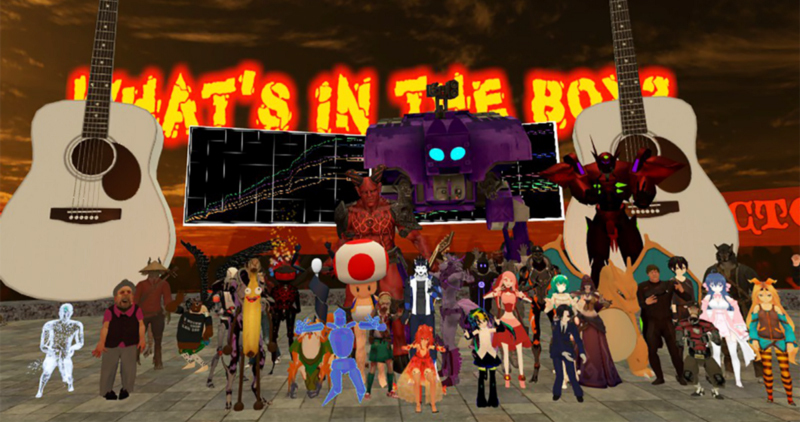 VRChat, the social chatroom for VR and non-VR users, is doing booming business. According to SteamSpy, the app has seen a mind-boggling 1 million fresh installs in only the last 10 days, putting it currently at 2 million installs in total. Update (01/19/18): SteamSpy reports now that ‘VRChat’ has over 2 million installs. Concurrent users have cooled down somewhat, although we’ll have to see what the weekend brings. SteamSpy reports yesterday’s high at about 11,000 peak concurrents, a surprisingly low .05% of the overall install base. Original article (01/15/18): According to Valve’s Steam report, VRChat garnered 20,000 peak concurrent users on January 14th, putting it in the top 30 games with highest concurrent user rates. The next day, a Monday morning, over 13,000 people were playing VRChat concurrently. While neither SteamSpy nor Valve offer enough granularity to know whether the bulk of the players are indeed wearing VR headsets, or simply playing via PC monitor, one thing is certain: VRChat is a ‘VR first’ social space, and entering the app to see a room full of gesticulating avatars (enabled by VR motion controllers) is bound to tease PC players’ curiosity at what playing in VR headset is really like. As for its meteoric rise in popularity, there’s little room for speculation as to the cause. While the app is free, and works equally on traditional monitors and PC VR headsets, VRChat owes much of its recent viral success thanks to coverage by YouTubers like PewDiePie, videogamedunkey, and Jameskii, not to mention a host of Twitch streamers. The app’s ‘anything goes’ user-generated content system, which lets you import your own self-made avatar replete with animation macros, has also produced plenty of meme magic since its launch on Steam – no doubt drawing more curious would-be users to the social VR platform. We’ll be going deeper into the app’s unique meme culture in a future article. For a taste of some of the freestyle chaos that’s attracting users to VRChat, take a look at one of the strangest and most popular living memes currently: ‘Ugandan Knuckles‘ (warning: NSFW language). The video, created by VRChat regular Stahlsby just before Christmas, has over 8.8 million views and rising. Because of its quick rise in popularity and consequent influx of new users, the developers recently released an open letter to the VRChat community in effort to reign in some of the less appealing behavior of its users. In the open letter, the creators say they regularly combat ‘bad’ behavior with a trained moderation team “that monitors VRChat constantly.” While the developers plan on releasing more troll-nullifying systems, they suggest using the app’s mute/block functions or setting up private instances of rooms to inoculate yourself from trolls. According to VRChat, ‘bad’ behavior entails the standard no-nos like hateful speech, overtly sexual content, illegal activities, etc, but also includes seemingly innocuous things like talking publicly talking about politics or religion, or organizing a protest. Here’s the full list. While the team are likely devising some sort of auto-moderation tool to scale to the massive number of users, for now they suggest reporting users on their Moderation Report Form. We’ll be watching VRChat as it continues to pioneer in the social VR space, but just hope some of the physical world’s hard-won civil liberties aren’t erased simply because they’re inherently messy to deal with. Update (1/18/18): The word ‘user’ was mistakenly used in place of ‘owners/installs’ in the first paragraph, making it sound as if the app had garnered millions of regular users. While the app has seen more than 1 million installs, actual usership is of course only a fraction of that, as the concurrent user numbers show.